Soil is an often overlooked tool to fight drought. A team of University of California scientists recently received a $1.69 million grant to use several UC agricultural research stations to study an often overlooked tool to fight the drought: soil. The team, led by Samantha Ying, an assistant professor of environmental sciences at UC Riverside, received the grant from the University of California Office of the President. 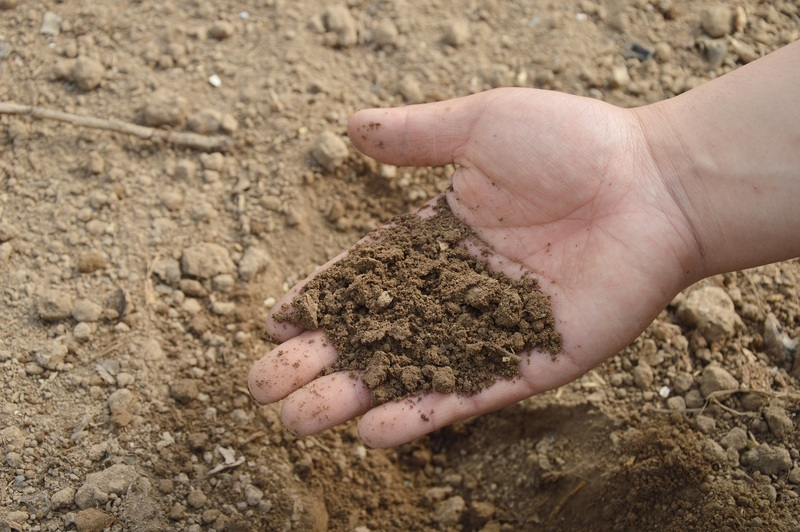 The funding will allow for the establishment of the University of California Consortium for Drought and Carbon Management (UC DroCaM), which will design management strategies based on understanding soil carbon, the soil microbiome and their impact on water dynamics in soil. The researchers will conduct field and lab research on microbiological, biophysical, and geochemical mechanisms controlling soil formation and stability under different row crops (tomatoes, alfalfa, wheat), farming practices (carbon inputs and rotations) and irrigation methods (furrow and flood, microirrigation). 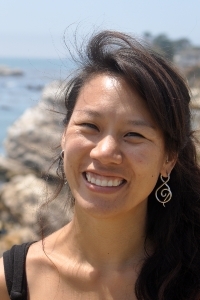 Samantha Ying, an assistant professor of environmental sciences at UC Riverside. Information on mechanisms will be integrated into a regionally-scalable predictive model to describe soil carbon dynamics and estimate the response of agricultural systems to drought. Field research will initially be conducted at three UC Research and Extension Centers (Kearney, West Side and Desert) the Russell Ranch Sustainable Agriculture Facility near UC Davis. Recommendations will then be made for broader monitoring and field experiments throughout the state based on input gained from local growers and citizens at workshops at the agricultural research stations. Ultimately, the hope is to expand and involve all nine research and extension centers from the Oregon border to the Mexican border. There is also a public engagement component. Citizens will be recruited to participate in workshops to learn how to monitor and sample their local soils. Information will then be imputed into an online soils database that will help create a map of the biodiversity of agricultural soils in California. Ying's collaborators are: Kate Scow and Sanjai Parihk (UC Davis); Eoin Brodie and Margaret Torn (UC Berkeley); Asmeret Berhe and Teamrat Ghezzehei (UC Merced); and Peter Nico and William Riley (Lawrence Berkeley National Laboratory). The grant is one of four awards totaling more than $4.8 million from University of California President Janet Napolitano's President's Research Catalyst Awards. Although rain has begun falling in California after four years of drought, living with limited water is the new normal for Californians, according to University of California water experts. To manage its water for the future, California needs to look into a long-term set of policies that change the way water is valued and used in the state. On Feb. 2 and 3, international experts will convene in Sacramento to share their experiences with the use of market-based incentives to address water scarcity. The workshop “Water Pricing for a Dry Future: Policy Ideas from Abroad and their Relevance to California” will be held at the University of California Center at 1130 K Street in Sacramento. The public is welcome to attend. “The workshop will provide an opportunity for individuals in various sectors to interact with scholars from several countries who will illustrate how water-pricing mechanisms have been used creatively in their countries to promote water conservation,” said Ariel Dinar, UC Riverside professor of environmental economics and policy, who is co-organizing the workshop. Experts from Australia, Brazil, Canada, Chile, China, France, Israel, South Africa, Spain and California, will present their water-pricing cases. California-based researchers, water district staff, representatives of government agencies and policymakers will be participating in the workshop. 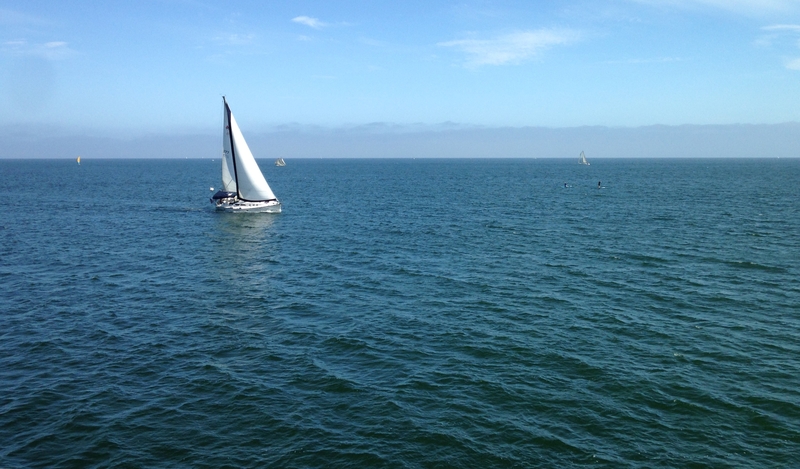 “The discussions will help people realize how economic incentives might be used to address some of the challenges faced by California's water economy,” Dinar said. Policies to address water scarcity include water-use quotas, water rights trading, promotion of water conservation technologies, and water pricing. Available water-pricing mechanisms can range from simple cost recovery to sophisticated economic incentives in the form of budget block-rate structures. The workshop is sponsored by the University of California Center at Sacramento, UC Riverside School of Public Policy, UC Berkeley, UC Division of Agriculture and Natural Resources, Giannini Foundation of Agricultural Economics, Public Policy Institute of California Water Policy Center and Metropolitan Water District of Southern California. For more information about the workshop, visit http://spp.ucr.edu/waterpricing. Registration is free, but space is limited and Jan. 26 is the last day to register. Using microsprinklers instead of aluminum sprinkler sets to establish strawberries offers significant water savings. Substituting micro-sprinklers for aluminum sets when strawberries are first planted presents another opportunity for farmers to reduce their water use without sacrificing yield, according to research recently completed by Surendra Dara, UC Agriculture and Natural Resources Cooperative Extension advisor on the Central Coast. Each fall, strawberry farmers put young strawberry transplants in the ground through holes cut in plastic mulch. Beneath the mulch are drip lines that will serve to irrigate the plants as they reach maturity. 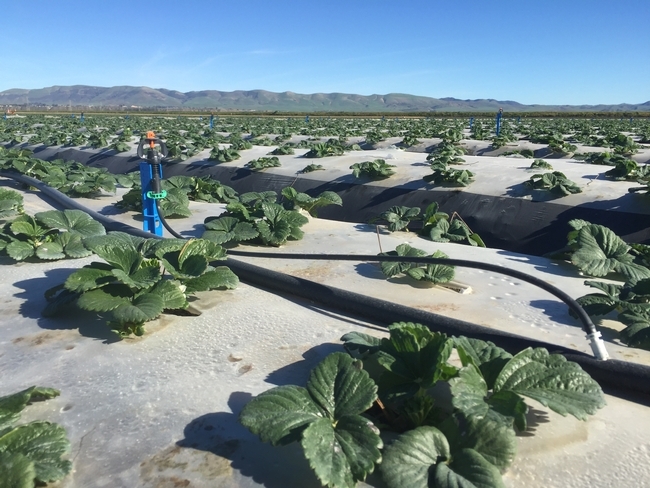 But early on, farmers typically install solid-set aluminum sprinklers in the furrows to get the plants started and leach salts below the strawberry plants' root zone. During the 2014-15 strawberry season, Dara worked with farmer Dave Peck of Manzanita Berry Farms in Santa Maria to compare micro-sprinklers with the more commonly used aluminum sprinkler systems. The experimental plots were planted in early November and carefully monitored throughout the growing and harvest season, which ended in June. The two types of sprinkler irrigation were used for about one month, then the grower switched to using exclusively the drip irrigation installed underneath the mulch. Dara found that micro-sprinkler irrigation cut water use by 32 percent compared to the area where aluminum sprinklers were used, and resulted in no significant difference in total marketable yield. Strawberry plant vigor was measured each month during the study. At first, the plants in the micro-sprinkler treatment area were significantly smaller, but they caught up with the rest by March. 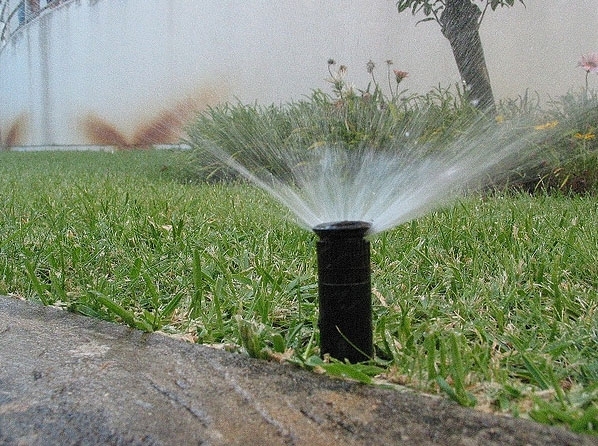 Sprinkler irrigation is also thought to help control twospotted spider mites and predatory mites. In Dara's experiment, however, the pests' sparse numbers did not allow for useful data to be collected. The sprinkler comparison did offer insight on powdery mildew, a serious disease problem, particularly for organic strawberry growers. Sampling for powdery mildew in the plots showed that its severity was significantly less in the micro-sprinkler treatment. Another common strawberry production problem, botrytis fruit rot, was also eased with the micro-sprinkler treatment. RDO Water and Netafim were partial funders of the project. The full research report is posted on Dara's eNewsletter. An initiative to improve California water quality, quantity and security is part of the UC Division of Agriculture and Natural Resources Strategic Vision 2025. Leaving sufficient dry matter on rangeland prevents soil erosion and creates a conducive environment for diverse plant communities to thrive. Over the past few years, drought has negatively affected everyone in the state and ranchers are no exception. Due to the drought, most areas have seen a decline in forage production and water availability, and as a result many livestock producers reduced their herd sizes and grazing season. With some recent forecasts bringing encouraging news about a potential El Niño, some ranchers have been asking about what they should expect in terms of forage production, if and when the rains come. What they want to know is how soon rangeland productivity will reach the pre-drought levels again. One issue that I always draw their attention to is the levels of residual dry matter (RDM) on the rangelands. 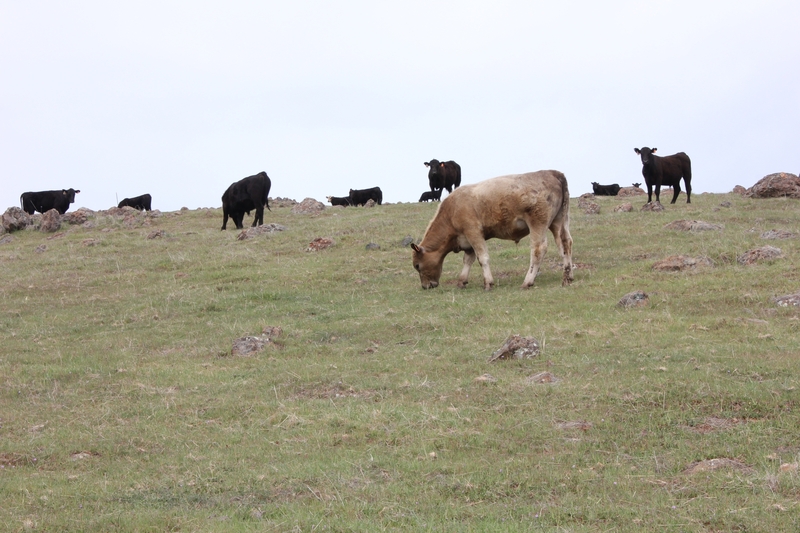 Even with the reduction in herd sizes and shorter grazing seasons employed by most producers, more rangelands now have less than recommended RDM levels. RDM is a measure of the old plant material (without counting summer annuals) that are left standing or on the ground before the fall precipitation comes. It is a great indicator of both forage production and grazing intensity. These leftover plant materials are critical on California rangelands to reduce erosion and nutrient loss, and to create a conducive environment for diverse plant communities to thrive. Optimum RDM levels are site specific, they range from 100-2,100 pounds per acre, and depend on precipitation zone, slope and tree canopy cover. Ideal RDM levels increases with precipitation and slope, and decreases with tree cover. Studies show that too low or too high RDM levels will reduce species composition and forage production, both factors critical to any livestock production system. The good news is that annual rangelands are resilient and will likely return to normal production within two years after bringing RDM level to recommended standards. Knowing the RDM standards for one's rangeland and continuously monitoring is an important step towards achieving sustainable rangeland management and livestock production. Details about RDM standards, data collection methods and more can be found in the free UC Agriculture and Natural Resources publication Guidelines for Residual Dry Matter on Coastal and Foothill Rangelands in California. 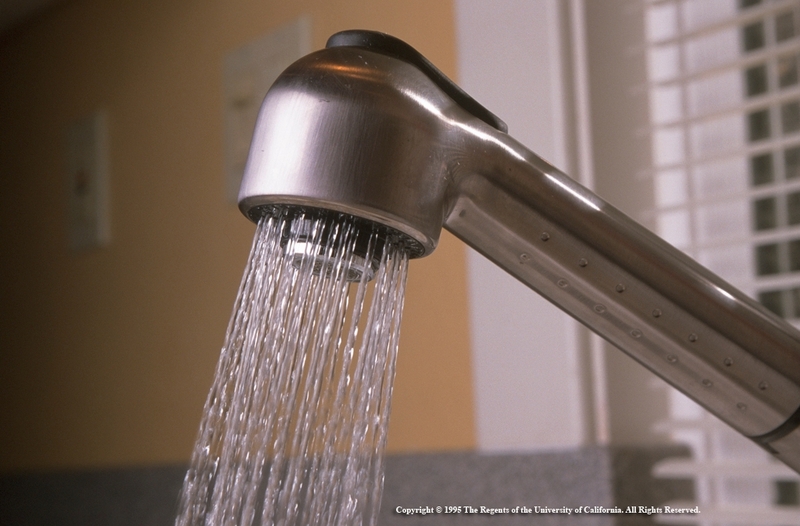 Californians cut water use in July by 31.3 percent compared to the same month in 2013, exceeding Gov. Brown's 25 percent mandate for the second consecutive month, the California State Water Control Board reported last week. With dry conditions forecast to continue through November, UC Agriculture and Natural Resources developed a series of videos with tips for enhancing conservation efforts in outdoor landscapes. The second video in the series, which debuts today, advises homeowners to limit outdoor irrigation to the early morning hours. An obstacle to changing irrigation times for some Californians is a lack of familiarity with their own irrigation systems. The California Garden Web is an informative service of the UC Master Gardener Program that can help users understand the basics of irrigation controllers and irrigation system adjustment. The website provides a link where residents can find their irrigation controller manuals online. A landscape irrigation worksheet developed by UC ANR researchers can be downloaded to finesse irrigation intervals and timing. Much more gardening information can be found on the California Garden Web, which serves as a portal to organize and share UC ANR's vast collection of research-based information about gardening. View the first video in the series, with advise on prioritizing plants when irrigation water is short.